FindPrivateKey.exe My LocalMachine -n "CN=localhost"
That should be it, and it worked on our machines. Right, so I ran the new Web Platform Installer 2.0 Beta on my WHS and it seems (so far) to have worked out quite well. I created a new MVC website with File->New… and published it over to an MVC-directory on WHS (I have set that up earlier, with a file share and everything). 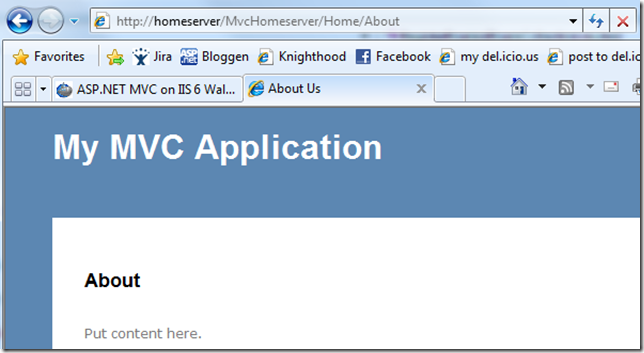 Now, the version of IIS on Windows Home Server is IIS 6 (because WHS runs on Windows 2003 kind of), so ASP.NET MVC won’t work right out of the box. 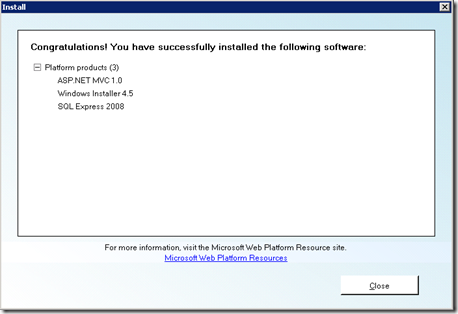 I was hoping that the Web Platform Installer would have taken care of that, but apparently not. I’ve been thinking of setting up ASP.NET MVC 1.0 on my WHS and also start learning some Silverlight stuff, so I took a risk, went to the Microsoft Web Platform Installer page and clicked on the Beta 2.0 link. 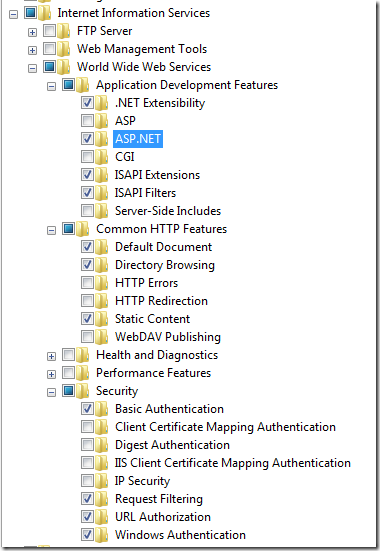 Downloaded the installer, marked ASP.NET MVC and the most necessary options and let it go. Should work, right? Yay! Now I just have to get an MVC test application on there somehow… brb. I’m pleased to announce a new release of IronRuby: IronRuby 0.3! Staying true to our “Conference-driven development schedule,” this release is in conjunction with MIX ‘09, where Silverlight 3 Beta and ASP.NET MVC 1.0 were announced, to name a few. John Lam spoke at MIX today at 12:30pm in Las Vegas about using dynamic languages in Silverlight for testing, scripting, and application building. 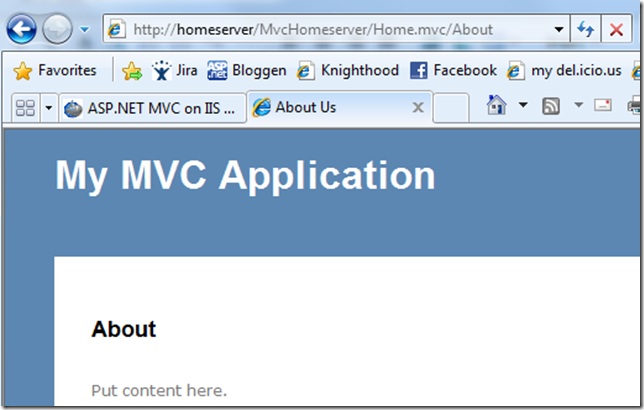 And some ASP.NET MVC with IronRuby is thrown in there too. You can download IronRuby 0.3 here. Phil twitted that the source code for ASP.NET MVC v1 is available on Codeplex now, so I guess it’ll be released as a proper installer on MSDN any time now. Congrats to Phil Haack and his merry men for doing such an awesome job! As most .NET developers know, you cannot do case/switch on CLR types and one of the reasons for it was explained pretty well years ago by Peter Hallam on the C# team. But there are many cases where you would like to iterate through a list of objects if mixed types and do specific things depending on it’s type. For fun I started to try out different ways to do it, some are better than others but they all do the same thing, more or less. I’m also exploring method extensions, method chaining and lambdas and some of the samples almost started to become fluent and DLS like. Oh, I’m as far from a C# language expert as anyone can be, so there are other ways of doing this I’m sure. The random code below is just me playing around for a simple way of doing case/switching on types that worked in the code I’m currently working on. Also, if you would like a derived class to do something special, you normally override a method, send in some parameters and let that code whatever it so special. That’s basic OOD, see the Eat() method in the sample code below. But there are cases where you for one reason or other would not like to do this. Enough of that, this is just for fun. We got a Cat and a Dog which are both different types of Pet. They have a Name and they can Eat() which is good enough for testing. Now we have something to play with. First do something you often see, especially in .NET 1.x code. But that’s not allowed. The case must be a constant. This code is perfectly fine and I’ve used it many times. But what if I wanted to have a Case-like syntax? Case(typeof(Cat), () => Console.WriteLine("A cat called " + pet)). The Action parameter encapsulate the anonymous method we’re sending in, containing the stuff we want to do with the pet in question. In the Case() extension method we’re testing to see if we’re given the right Type and Invoke() the anonymous method if so. Case(typeof(Cat), () => Console.WriteLine("A cat called " + safePet)). Case<Cat>(obj => Console.WriteLine("A cat called " + pet)). Case<Cat>(c => Console.WriteLine("A cat called " + c)). As you can see, the syntax is cleaner and I can work with the pet object itself as a parameter handled to anonymous method in the lambda statement. It’s not a generic Case Switcher on Type, but it feels good to me and is easy to work with. And you don’t have the issue with access to modified closures with this one. Case((Cat c) => Console.WriteLine("A cat called " + c)). That’s it. I’ve seen a number of more complex ways to do roughly the same, but I’m not trying to create the ultimate Switch/Case framework, just playing around with c# to create something simple that may make the code easier to read (and fun to code). It was a pleasant first day at TechDays, held in Västerås by Microsoft Sweden. During the day I met with and talked to people I know from before, people I’ve never met but follow on their blogs and some new acquaintances. Cheers to Samuel Kastberg, Pelle “Pellesoft” Johansson, Tomas Wirén, Johan and the guys at Dropit, Kai Fransson just to mention a few. I talked to Johan Lindfors, manager of the Microsoft DPE team in Sweden, who had a good presentation (the best I’ve seen so far actually) on Oslo together with Alan Smith. I ran into Daniel Akenine, chapter president of IASA Sweden and CTO of Microsoft Sweden. It’s always nice to talk to Daniel! Later in the evening I talked to Tess Ferrandez and Fredrik Normén about some common mistakes we’ve seen developers do, especially with ASP.NET. Tess had a good talk on the topic earlier that day together with Mikael Deurell, and Fredrik did a good one on what to expect for Silverlight in the future. Today I attended two talks with Christian Weyer on WCF and on .NET Services and I got the chance to chat a few minutes about WCF interop and bindings to use with usernamepassword tokens which I will will try out soon. Earlier today I also listened to Ivar Jacobsen about “what they don’t teach you about software at school” and it was very entertaining. Ivar is so professional and full of experience and good knowledge it’s amazing and I have so much to thank him for, considering how much help I’ve had from his work on RUP, UML and so on. It was great to meet him. The day ended with a session on .NET Services, also by Christian Weyer, which was very, very cool. I have no idea how many moving parts he had going in his demos, but he was doing federated security, services and workflows in cloud and on his machine with azure and he had both .net clients and java clients going and you name it. I have to watch the presentation again when it’s available on the Internet later on. Trying to run a WCF service in Cassini on your Windows 7 Beta (7000) machine and get this error? Unless you’re running your service with basic http binding or with security specifically set to None in your bindings, you will get this security-related error. This problem was confirmed by Microsoft and will (hopefully) be fixed in next Windows 7 release. 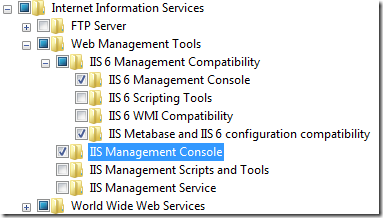 Note that you need to add quite a few features to get WCF running in IIS running on Windows 7. See my previous post about this. Richard Fennell had the same problems as well as a few others out there brave enough to try out a beta operating system. Then restart and make sure you got everything in place. I think I got most things sorted with my Windows 7 Beta installation now. When I uninstalled the “half new” version of Virtual CloneDrive I had, things started to work way, way better. There is now a newer version of Virtual CloneDrive (5.4.2.3 or later) that is reported to work quite well. Until you really need an ISO mounting tool, I suggest you wait installing one! I found a new, small issue though when I got my laptop connected to an external monitor. Sometimes when I start it up from Sleep or Hibernation it fails to display the Desktop properly and I have to bring up the “Change display settings” control dialog and re-apply my setting there to have it redraw the Desktop and Taskbar properly. Not a big deal, and it works properly after that until I put it to Sleep and start it up without the external monitor. This is something that I’ve not seen on Vista before anyway, and it sure seems like Windows 7 has more than a few changes around how external displays are managed. Writespace is an open source full screen writing environment, developed with WPF as an add-in for Word 2007 which I host on Codeplex. A few days ago I started to get emails from people who had downloaded Writespace and I noticed a huge increase in downloads. Apparently the popular website LifeHacker had written an article about it, which is cool. So, if you read this and know how to created a nice Word 2003 add-in setup which includes all things necessary, please contact me. Feel free to download the source and build/use/test the Word 2003 version and give me feedback on it. It may take some time for organizations of the right size to jump on this, but it will be interesting to follow. There are several new features in Windows 7, and as I’ve not had the chance to read about them yet, I keep discovering them as I use the OS in my daily work. Note that I would not recommend anyone to use Windows 7 beta on their production/working machine as it’s not stable enough – I always have my old Vista environment close by and all work I do is backed up in real time by Outlook, TFS or Live Sync. Actually Live Sync (or Mesh) is wonderful in this case! The first thing I noticed today was that I could move around the active window to the various Windows 7 “docking points” by pressing WINDOW KEY + ARROW. By doing this, the window can be attached to the left or right side of the screen, or even maximized or minimized by pressing the UP/DOWN keys. If you got multiple monitors, the window will travel over to the other monitor. Neat! It’s a quick way to move programs to the second monitor once you get used to it. I wouldn’t be surprised if a future update of Messenger will let you get to recent chats. That you be more consistent with how this particular feature works with Word, Notepad etc. 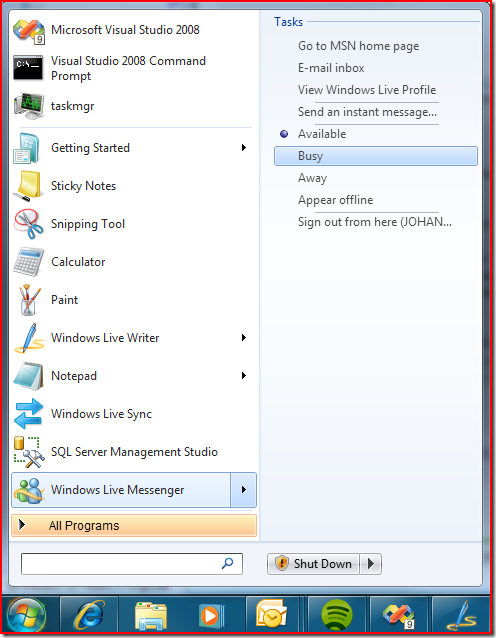 Not that all Windows 7 programs works this way, but for Messenger it would make sense I think. I’ve had the same problems with the Messenger process that couldn’t be killed. Could be because I’m not running as Admin? Time for a reboot. Edit: I have just uninstalled Virtual CloneDrive (5.4.1.1) to see of it was causing problems related to restart and file handling, which some reports indicate. I’ve also downloaded a newer beta version of CloneDrive (5.4.2.3) which should support 64-bit Windows 7 better I’ve heard. Follow the discussion on TechNet. I’ve worked on projects where the ubiquitous language became anemic because the developers translated the Norwegian domain into English. Apart from often having trouble finding good translations for many of the domain concepts, the fact that the developers begun calling things by their English names when talking about them often caused misunderstandings between the developers and the domain experts. Some interesting comments there on his post. I've been using the, what Fredrik calls, “GetLønnslipp()” method the last couple of years when developing services for customers. We first tried to translate the, in our case, Swedish domain names into English, but some expressions were hard to translate and get an agreement on. So we went for English verbs and Swedish nouns and it has worked out quite well. Felt stupid first, but not any more. The best thing is that the data contracts based on XML Schemas have no English in them at all and are therefore very easy to understand and discuss with the customer. It would have been a whole different matter if the customer in question already had business with/in other countries and had well known names and terms for the domain. In that case I would have spent some time to get to that English-only Ubiquitous Language. I’m continuing my adventures with Build 7000, and right now the biggest problems I have seems to be related to the File/Windows Explorer itself. I’ve had issues with removing external USB drives. Something seems to hang on to the drive even though it’s removed and I’ve noticed that I cannot do a Windows Restart after that. It hangs on the “Logging off” screen. Also, I’ve had problems several times now when copying files from machines on the network and from USB drives. The file copying progress dialog just sits there and refuse to complete. When clicking on dialog Cancel or Close, it tries to cancel but never completes. If I try to kill the dialog from Task Manager, it goes away, Explorer (you know the whole Desktop reboot thingy) restarts but some explorer processes seems to stick. But I love the new Task Bar and the option to drag/drop System Tray icons. That part works very well and I hope Microsoft will keep it. Currently I got Outlook new mail notifications and Messenger there together with the standard white (dull colors!!) 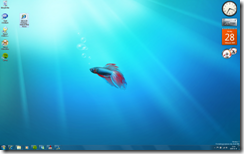 Windows 7 systray icons. I keep installing programs on my new Dell m4400 running Windows 7 (build 7000). Unfortunately the “Easy Transfer” didn’t go all the way. I tried to transfer over the network and left it running for 6 hours then shut it off because it seem to hang at 35%. Had to restart the machine to get rid of the transfer window. Maybe a transfer to USB/External hard drive is more stable. Seems that some 75% of my files and settings had transferred properly so I got Outlook and most of my other things moved over ok. I moved the rest of the stuff over manually with a (more or less) major copy/paste from my documents and settings. I had to do this twice because there seems to be a glitch with copying many files with this build. The program I’ve had most problems with today is Messenger 8. It stopped redrawing it’s main window, tried to close it but it refused, tried to kill it and the program closed but the process refused to die. Weird. But so far no show stoppers. Too soon to say but it looks pretty good for an early build of a new OS. I’m starting to like the new task bar and everything seems faster than Vista (that’s not hard) but we’ll see what happens once I’ve got a gazillion of programs installed on it. The big question is - How do I avoid getting the “spyware” from Adobe and HP on it?!?! Edit: I had to install an updated version of the "easy transfer" program on my old Vista machine, and the transfer started fine. The problem now is that it's been running for 3 hours and the progress bar is kind of stuck at 30-40%. I think I'll let it run for 3-4 hours more before I decide to terminate it and move the files manually.